With the mercury levels gradually rising every year, the summers are becoming unbearable for many people in India. Ceiling fans are not enough to beat the heat during the summer season due to the hot and humid climate. Air conditioners were called a luxury until a few years back, but now due to the advancement in technology and affordable pricing, they are now easily available to buy. A 1.5-ton AC is usually chosen for the medium sized living room or a small office. 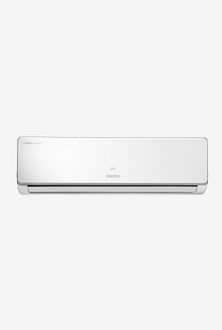 There are various brands like Samsung, Daikin, Voltas, O General, Panasonic, etc., that offer 1.5-ton air conditioners under INR 35000. If you go through our price list updated on 20th April 2019, you can find 121 1.5 Ton ACs under INR 35000. You can either choose a Split AC or a Window AC according to your requirements. An air conditioner capacity, measured in Tonnes, is the amount of heat removed by the AC in one hour and many brands offer 3- star or 4- star rating AC that will help you save the energy costs. The best way to beat the heat this summer is to buy an AC with a better energy rating which does not make a deep hole in your monthly budget. 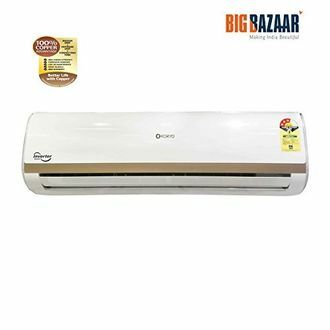 You can compare the price of the AC available at different online stores and buy from the store that sells at the lowest price. The shopping websites like Amazon, Snapdeal, Infibeam and Paytm are available to buy online at an unbeatable price. These ACs also offer various features like Timer, Sleep mode, LED display on the AC and multi fan speed.